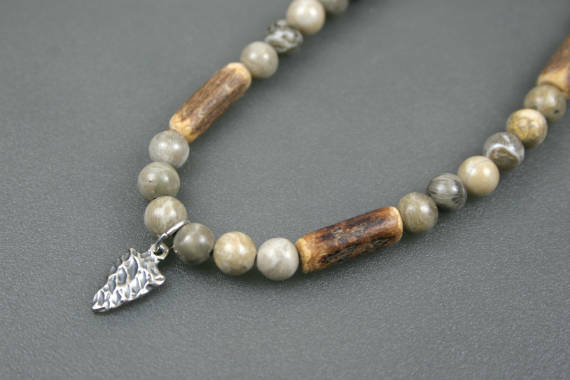 This antiqued sterling silver arrowhead pendant is strung on a strand of fossil coral beads (6mm) and coconut shell tube beads (15x4mm). The entire necklace is strung on stainless steel wire and closes with a silver plated lobster clasp. 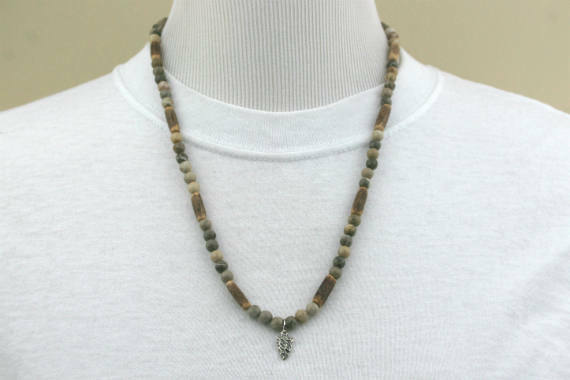 The necklace strand is approximately 23.75 inches long. 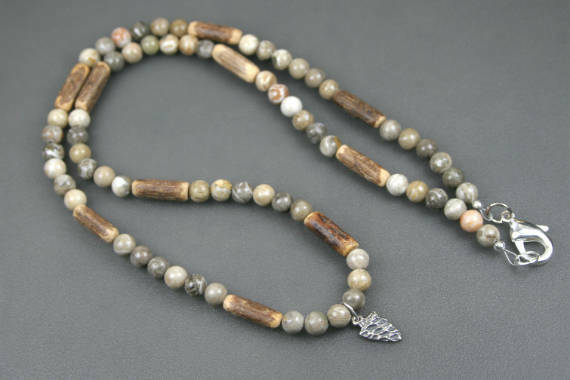 Fossil coral beads show patterns of prehistoric coral in light and dark sandy colors with exquisite lace-like, naturally formed designs. 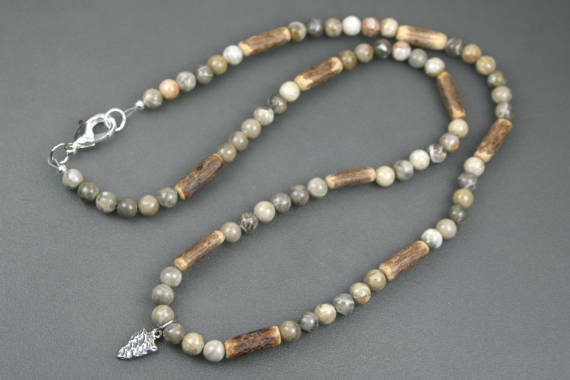 They are primarily composed of calcite with quartz inclusions, and the color and design vary from bead to bead. 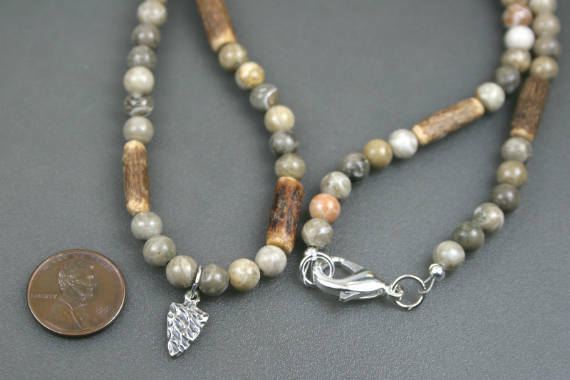 Fossil coral is known for promoting relaxation, strengthening one's physical and mental health, and for enhancing one's connection with nature.